What happens to used car oil in South Africa? South Africa has some of the best recycling rates in the world, so it should be no surprise that used car oil is recycled into heating fuel for factories. The old oil from your car is collected from service stations and sent to a refinery to be processed into a reusable product. In Europe, used motor oil is actually re-refined back into base oil instead of being burned as a fuel, but it’s a costly process. Locally, less than 20% of used car oil is re-refined into base oil, but the rest of collected oil is turned into heating fuel. There is a difference between the terms ‘recycling’ and ‘re-refining’ when it comes to motor oil. Recycling used oil means taking the product and using it for a different purpose, such as burning fuel. The oil can be filtered to remove insoluble impurities, but it doesn’t get rid of the dissolved contaminants in the oil, so it can’t be re-used in vehicles. Re-refining used oil means removing all impurities, both soluble and insoluble, through a chemical process that turns the oil into a reusable and high-quality product for use in vehicles. “Re-refined oil has quality that is equal to or better than some virgin base oils and motor oils can be re-refined many times,” says CEO of the Recycling Oil Saves the Environment (ROSE) Foundation Bubele Nyiba. “Although local demand outstrips supply for burner fuel, this is still an issue in terms of air emissions as heavy and light furnace oils still contain impurities – the used oil industry ultimately needs to move towards re-refining back to cleaner fuels. The challenge is to make re-refining a sustainable option for processors [in South Africa],” says Nyiba. Re-refining used car oil is a lengthy process. First, the used oil is pre-treated to remove any water by storing it in large tanks and skimming the water off the top. Next, the used oil is then filtered and demineralised to remove any solid contaminants and inorganic materials. At this stage, the oil can then be diluted with a lighter petroleum product to create a more runny lubricant that can be used for automotive or industrial purposes. Alternatively, it can be processed into a more dense lubricant for heavy-duty purposes. If the oil is not mixed with other petroleum products, it is then de-asphalted using propane to remove thick bituminous fractions. The resulting product is a re-refined base oil that can be used as a feedstock for another re-refining facility, or further distilled to produce a quality lubricant oil. 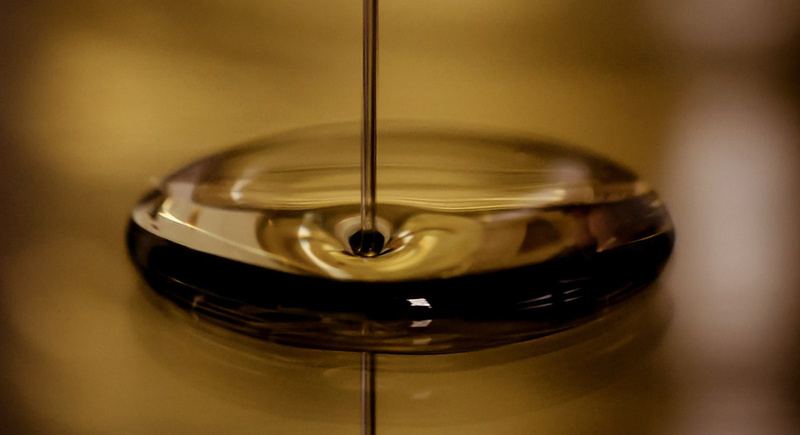 The final step is to blend additives into the various grades of re-refined oil product to ensure that they have the right anti-friction qualities for their intended purposes. The products are tested to ensure that they are perfect before being resold on the market.